Howdy all, There has been an overwhelmingly positive response to bringing back the RuneScape 2007 servers, and I'm happy to see that Jagex has acted on the RuneScape community's request. As you've probably guessed, so many aspects of RuneScape have changed a lot over the past half-decade, and quests are no exception. So, I am happy to announce that we're going to be bringing back our 2007 quest guides (and quite possibly other content) to help players with this alternate version of the game! 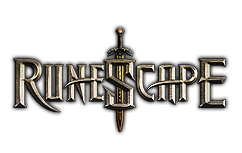 To begin, we have all of our freeplay RuneScape 2007 quest guides online now, complete with pictures and detailed walkthroughs! So, hop on over to our oldfangled RuneScape 2007 Quests section and check 'em out! More quest guides will be released regularly, so stay tuned!